Imagine yourself cruising down a typical city street in Anytown, Anywhere on a sunny, summer’s day astride your faithful, two-wheeled steed. You’re aware, alert and on top of your game as always. You’re even fully outfitted in protective gear for your ride. Life is good! As you float along at 60ish kph you spot a large Cadillac at a stop sign, perpendicular to your path of travel. You look to make eye contact with the driver but only see the back of the older woman driver’s head since she’s looking the opposite direction of you. Your muscles tense and adrenaline flows as you get closer and closer, still not seeing her look your way. You reach for the brake lever, let off the throttle and even move your finger to jam into the horn button… but then happily she turns your way and you see her eyes. You get back on the throttle thinking to carry on your merry way, only to have the Cadillac pull out from the stop line right in front of you at the last possible moment! There’s no time to do anything except mentally prepare for liftoff as your front tire makes contact with the front fender of the car and you feel yourself take flight like Iron Man. During a time like this a rider’s mind will flash many different things, but surely one of them will centre around what’s between their head and whatever object they’re about to slam it into. This experience, unfortunately was a real one a friend of mine went through many years ago. He did nothing wrong, even did many things right, but still ended up in a coma for 3 months. Happily he made a full recovery despite the severity of the head injury he sustained when his flight path ended abruptly when he struck a concrete barrier head first. He hit with so much force that it split his full face helmet in two pieces! Most helmets have only one of the stamps from these organizations on them, but as in the case of my friend’s, there are some with more than one. Combinations of stamps like DOT/ECE or DOT/Snell indicate that more than one agency has tested and certified a helmet design. It seems our world is obsessed with acronyms, but the ones you find on helmets are simple enough to remember and understand. D.O.T refers to the United States Department Of Transportation. Government guidelines originally established in 1972 by the NHTSA, or National Highway Traffic Safety Administration, are laid out in near nauseating detail in a long document with many sections in it covering all the rules of the road. 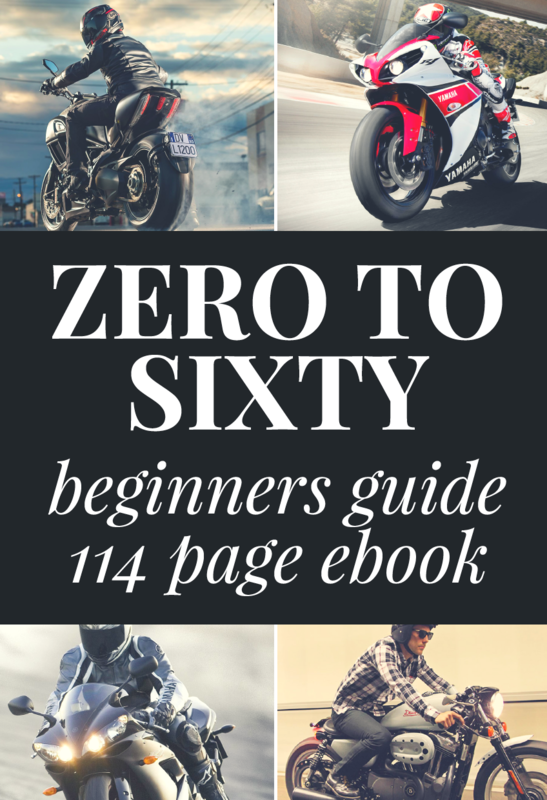 Standard number 218 covers motorcycle helmet testing criteria and procedures. 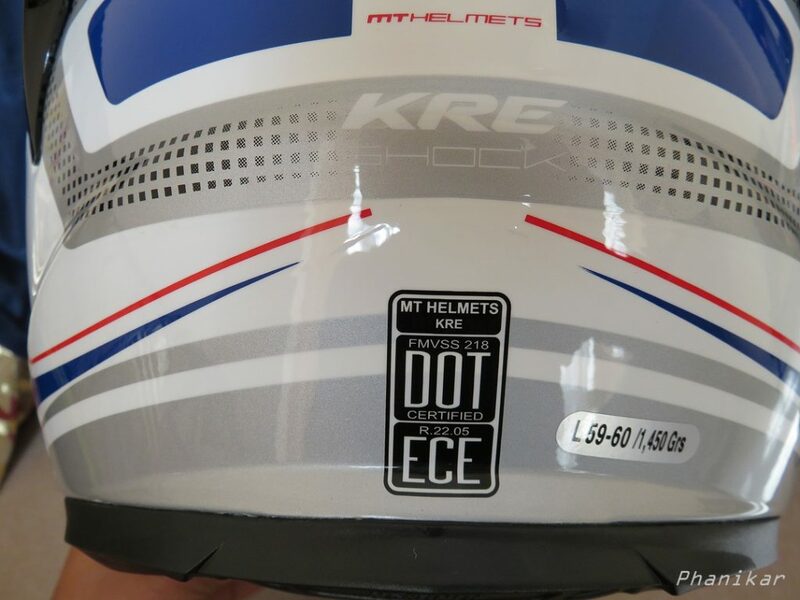 So what you’ll see on a helmet which has passed minimum standard testing levels meeting the US criteria is a DOT label on the lower, back portion. You’ll also see some more letters and numbers after the “DOT” which will be FMVSS218 (if it has passed the most current level of testing), which refers to the Federal Motor Vehicle Safety Standards number 218: the motorcycle portion. The complete details of standard number 218 can be found here. Some tests and requirements are used by all 3 regulating orgs when it comes to helmets, which makes sense being that all heads across the world have the same needs when it comes to protection. Fittingly, all these tests are performed at room temperature of 70 degrees Fahrenheit, cold temperature of 14 F, hot temperature of 122 F, and waterlogged after being submerged in water for 12 hrs to see how a soaked helmet responds. Four different helmets are used as it wouldn’t be fair to subject just one to this barrage of testing and expect it to pass. This is when a helmet is suspended in a track at a predetermined height above a flat (or sometimes curved) steel anvil, where it is allowed to drop and impact on it. The height is chosen carefully to achieve a specific amount of force upon impact. A “head form” is inserted into the helmet with sensors inside to measure how strong the force transferred to it is. The test if performed multiple times to different sites on the helmet. Obviously a helmet is only useful if it stays put on your head during a crash. For that reason this test places a specified amount of tension on the chin strap of the helmet to see whether it will break off, stretch or unclasp in the case of ratcheting ones. Visors are also tested by launching small weights at them to determine if flying debris, rocks, insects, etc. will break through. The opening in motorcycle full face helmets need to allow a sweeping field of view covering a full 210 degree arc from side to side. 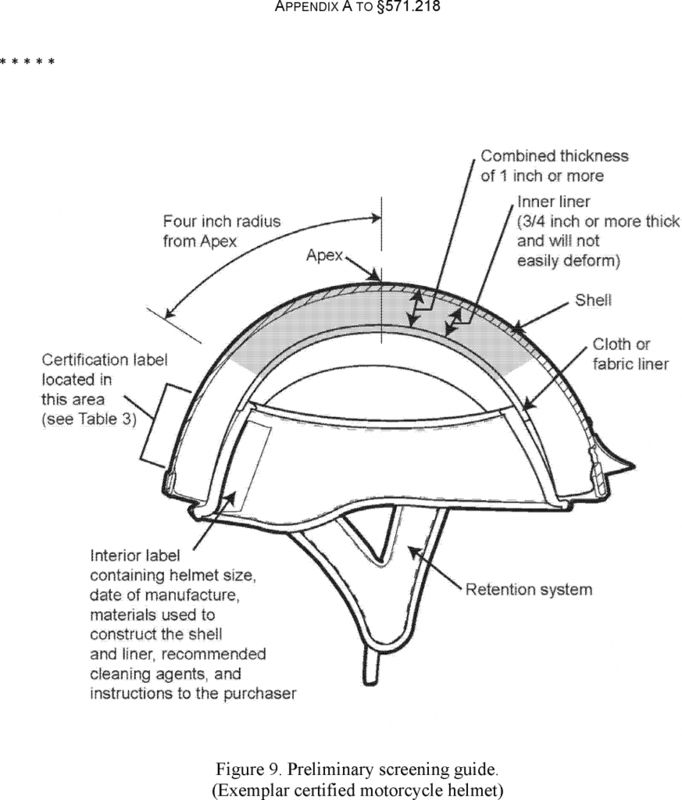 The regulators want pertinent information on all helmets like size, acceptable cleaning methods, date of manufacture, and the types of materials used in construction of the outer shell and inner insulating layer. The location of the DOT, ECE 22-05, and/or Snell logos are specified in the regulations to ensure consistency. The United Nations Economic Commission for Europe, or E.C.E, is fairly similar to DOT when it comes to their standards and testing methods. It came into being in Geneva back in 1958. The R22 stands for “requirement 22” in the commission’s laundry list of regulations pertaining to motor vehicle safety in the EU. The 05 indicates the number of amendments since 2000 to requirement 22. DOT and ECE rationale is to build helmets to be shock absorbent as opposed to shock resistant, much like crumple zones on car bumpers, where as much force as possible is used up destroying the outer layer of the helmet before transferral to the wearer. 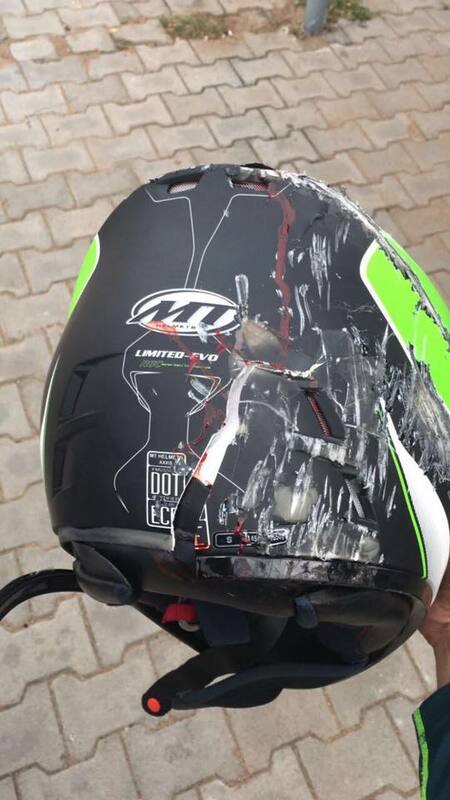 This is what happened with my friend’s helmet that split in two when he crashed: it was destroyed in order to limit what his head had to endure. One difference between the two standards (DOT and ECE) is how they perform the impact testing: DOT performs two strikes in the same location on the helmet, while ECE only tests a location with one hit. Their acceptable limits for force felt are similar though, and generally speaking, a DOT approved helmet will pass ECE exams and vice versa. A major difference between the two has to do with who performs the testing. 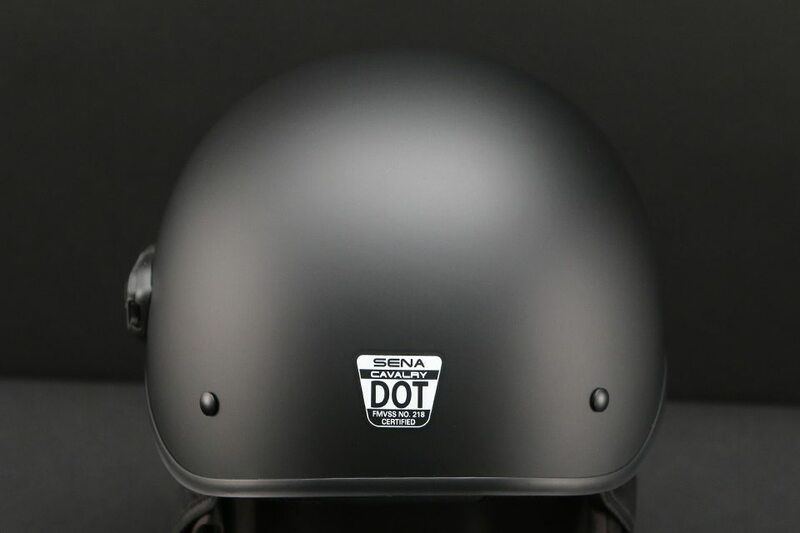 DOT allows manufacturers to use the honour system by administering the tests themselves and then putting their helmets on the market with DOT stamps on them. The NHTSA still checks after the fact by purchasing helmets at random and will then go after manufacturers who don’t pass their verification testing. The problem is that cat is already out of the bag at that point, so to speak, because many people would potentially be using helmets that aren’t truly up to snuff. ECE does their own testing too, but then have an independent third party test models before they hit the market to ensure things are on the level. This is probably why ECE is used in more than 50 countries worldwide and allowed to be used in motorcycle racing while DOT-only helmets aren’t. ECE also does some testing they claim helps prevent neck injuries in people who wear their helmets, but DOT says those test methods are unreliable and difficult to reproduce in their opinion. Full ECE standards can be found here. In 1956 a famous race car driver named William “Pete” Snell died in a crash while wearing the acceptable standard of helmet available at that time. The US based Snell Memorial Foundation was created the following year with the goal of raising helmet standards through continual research and enhancement of their testing protocol. There is no “one and done” with Snell, as they continue to test manufacturers’ helmets randomly long after certifying them in order to ensure standards really are kept up. You’ll see this evolution on Snell approved helmets where markings will range from M2005, M2010, and M2015 (showing the progression from older standards and helmets to improved newer ones). This doesn’t mean every year will have it’s own designation though- it seems like generally every 5 years Snell looks to improve things a little bit. M in front of the number indicates it’s a motorcycle helmet. Snell also has designations for car racing applications (SA), but this article will only focus on bikes as the Motorcycle Gods would have it. 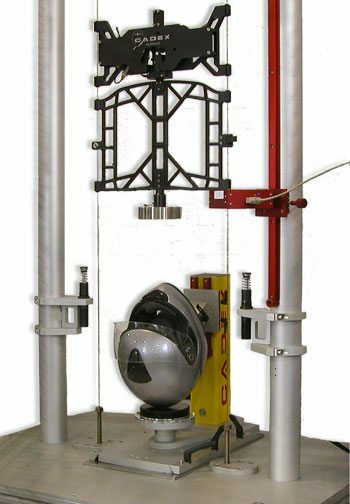 SNELL is a non-profit and independent organization very well respected for their rigorous testing methods. More than DOT (who hasn’t really changed their standards from inception), Snell really puts helmets through their paces. ECE updates with the times and technology to keep their certifications trustworthy like Snell does, but their testing isn’t as intensive or ongoing. The same tests are administered but with lower acceptable limits for energy transfer to the head forms. Crucially, multiple strikes are applied to the same areas on the helmets, visors, and tension on the chin straps. They also drop weights on the chin bars of full face helmets to see how much they collapse inward towards the wearer’s face. 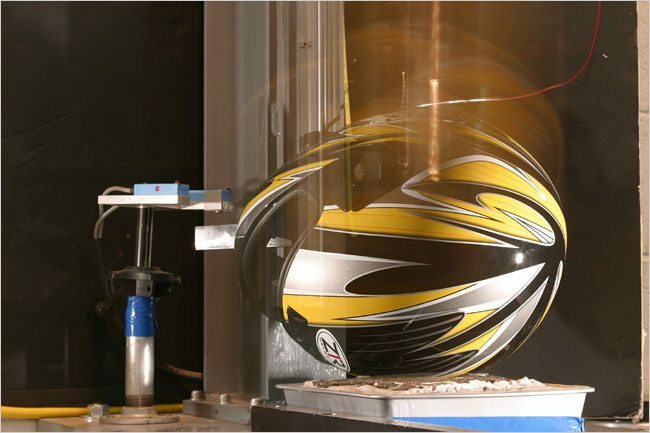 Another important difference with Snell is their Positional Stability Testing of helmets. They want to make sure the helmet stays where it’s needed on a rider’s face and head. This is a marked difference showing their next level of commitment to rider safety. Even the best helmet won’t protect you if it doesn’t fit right or moves around after an impact on the head. Snell tests helmets for ease of removal without having to undo the strap. This may sound strange, but is for good reason: when someone crashes and needs medical aid, professionals need to get the helmet off quickly and easily. They’ll either cut the strap off or need to be able to rapidly undo the buckle. This is one reason Snell helmets are approved for use in MotoGP and meet or exceed all racing requirements. Frankly speaking, that’s the helmet I would rather throw my hard earned dollars at. Not to say DOT or ECE aren’t good on their own, but when there’s “good enough”, “good”, “better”, and “best” to consider… why not opt for the helmet that meets two standards? I like having more than one guarantor of my safety and that one of them has a mission statement to strenuously test in the name of honouring the memory of William Snell by saving many other lives. Snell’s extensive website on all things helmet related can be found here. Bringing it Back to Helmet Standards: Why all the Fuss? Well, it’s because of an ever-growing market of fake certified helmets being sold to the public. In this day and age it’s very easy to create bogus helmet stickers that look just like the DOT, ECE, or Snell ones. 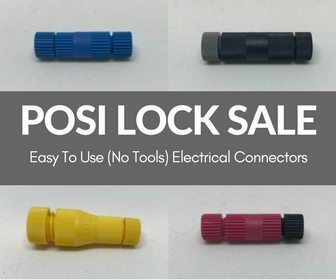 If you do a search on Amazon right now you’ll find them for sale to anyone to stick on anything they choose to. It’s easy to spot the difference though. Novelty helmets typically have a very thin inner layer and weigh less than 3 pounds. 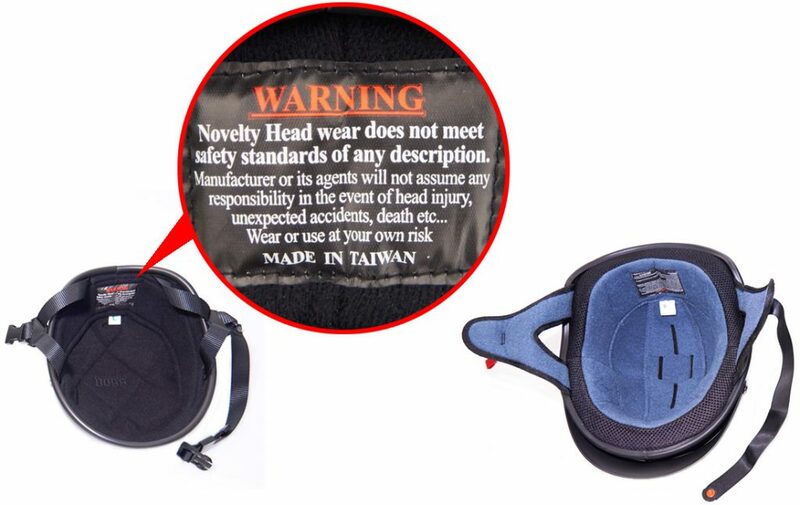 You also won’t find all the labelling on the inside of the helmet demanded by the actual helmet testing companies. In short, if it feels flimsy or makes you look like Darth Vader perfectly, it’s probably only going to protect you from bugs hitting your face. Don’t fall for phony baloney when it comes to buying your brain bucket. The NHTSA in particular has been quite actively pursuing novelty helmet makers and taking legal action against them of late. What would be a lot better is if more people informed themselves and choose not to financially support novelty helmet producers. I’m a fan of helmets (in fact, I advocate for the ATGATT lifestyle). I’ve had far too many wasps, rocks, bits of wood, rain, hailstones, and cigarette butts bounce off them not to appreciate something other than my face taking the shot instead. One question I had about the testing done to helmets was about how dropping a helmet from only a few feet onto an anvil can reliably gauge its ability to protect my brain matter. What I found was that, in cases where riders crashed while wearing approved helmets, only 19% sustained serious head injuries compared to 56% of those wearing novelty helmets. That’s quite a difference and speaks to how far all this testing has pushed the envelope when it comes to protection. Similarly, 2015 data collected from American States lacking mandatory helmet laws reported 71% of riders killed in crashes weren’t wearing helmets. We all should be fans of properly certified lids that can give us a bonus chance to walk away from situations we don’t have the right to. It can happen so fast and through no fault of our own too often. In those situations, our very last lifeline is the personal protective equipment we choose to wear. The driver of the car in the story I shared at the beginning of this article which my friend “T-boned” actually did see him and meant to stop instead of driving in front of him, but by some stroke of horrible luck at that moment she confused the accelerator pedal with the brake. That’s just one example of why a quality helmet purchase is a wise idea. Hopefully all our time spent honing riding skills will mean we never need to test our helmets and other protective gear. Avoidance should always be our first choice by riding responsibly in all ways. That doesn’t mean you can’t have fun enjoying the awesome ability our two wheeled machines have when it comes to acceleration and handling, but it does mean that we should enjoy that performance while taking advantage of every option available to us to stay safe. I strongly encourage using your bike to it’s full ability and seeing how close to the limits of control you can ride it… on a racetrack.